A lot of us are apprehensive about updating the software we use. May it be our apps, OS, or even our Moodle website. While not updating the OS or apps might lead to buggy experience, not updating your Moodle website might be more damaging. Not only will you miss out on new features, you might be prone to security issues too. Moodle carefully plans updates to counter possible issues in the software. It’s not just about new features. In fact, the primary reason you need to update your Moodle version, is to tackle security flaws. Since Moodle is open source, hackers can find ways to hack into your website. Every update makes the platform more secure, and makes it difficult to tamper with. But security updates are not all. Newer versions contain cool new features and more importantly bug fixes too. Due to the large code base, bugs are inevitable despite detailed testing. When these bugs are found, updates make sure of fixing them up. 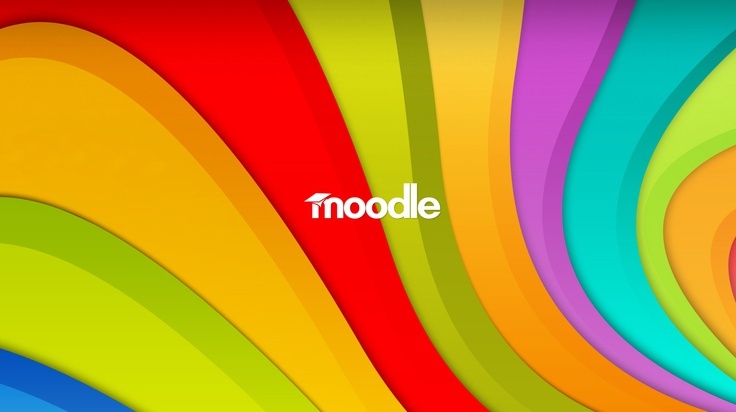 Along with bug fixes, Moodle takes care of adding performance improvement patches too. This is to ensure that your software runs efficiently under stressful conditions. 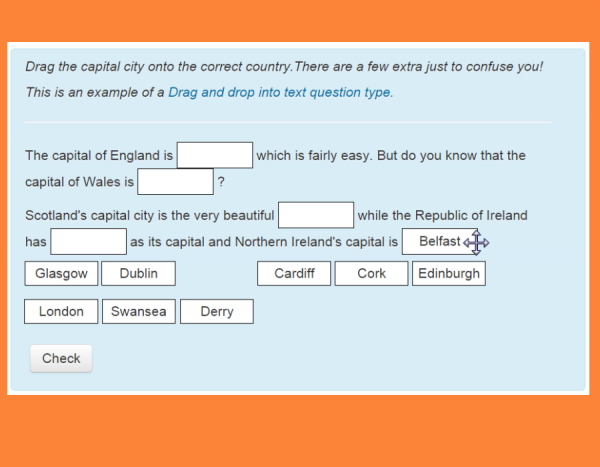 Students can drag and drop text, images or map markers for ‘Drag and Drop’ question types. Pretty cool if you were looking for this option in your quizzes. Modifying sections of your course have been made simple. You have a single option to edit, highlight, hide and delete have been added under a single menu. This one’s for administrators. The interface to install and update plugins has been greatly improved. You’ve got a lot more in the official Moodle Mobile App. Moodle members can engage in live chat, survey activities on the app. Students can even search for courses and enrol in them from the app. 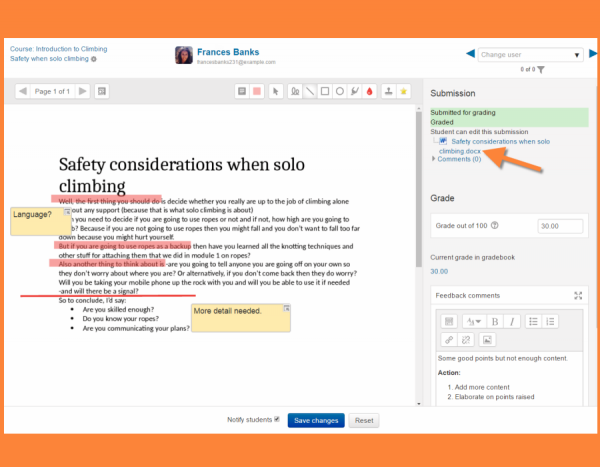 With all elements on a single screen and the option to annotate assignment submissions, assignment grading has been greatly improved and made easier. With a Recycle bin, you can easily restore accidentally deleted course items! A ‘Global Search’ option lets members search content across the entire website. You’ll need Solr support for this one. But these aren’t all… the official release notes contain finer details. Quite interestingly, the excuses users provide for not updating are quite standard. We have this habit to keep pushing things till they work fine. Sure we come up with a few patches here and there and all’s well; till one day we realise that plugin ”xyz” has a major performance flaw and needs you to update it to the latest version. But wait! This latest version only works with the latest version of Moodle. What then? True. This can and will happen. But not if the customizations are made right or if you take the effort to port your customizations to the latest version. This can be done. Let’s take for example when you create a child theme to include template changes. Child themes do not get lost in an update. Similarly, with the help of a Moodle developer or a suitable maintenance plan, you can seamlessly port your changes to the latest version. Moodle website crashing, or some functionality breaking is the biggest worry among people. Not that there haven’t been such incidents. But with backup, testing updates on a staging site can prevent unexpected outcomes. And at any point you can avail developer assistance. Worried about Updating Your Moodle Website? It’s understandable. But the benefits should outweigh your worries. Apart from features in the core, there are plugins and themes that specially work with version 3.0 (such as learncurso or Edwiser RemUI), giving you an additional reason to update! Once again, a staging site can help, and it’s a great way to test the update before making it live. Got questions? Or need help migrating your Moodle website to the latest version, shoot us a mail and we’d be happy to assist you!